Directions from Gilmer: 300 to Longview. Pass the big Walmart at Gilmer Road and Reel Rd. Take the 1st road on your right; Toler Rd. The street turns to the left and the park entry is to your left after the curve. 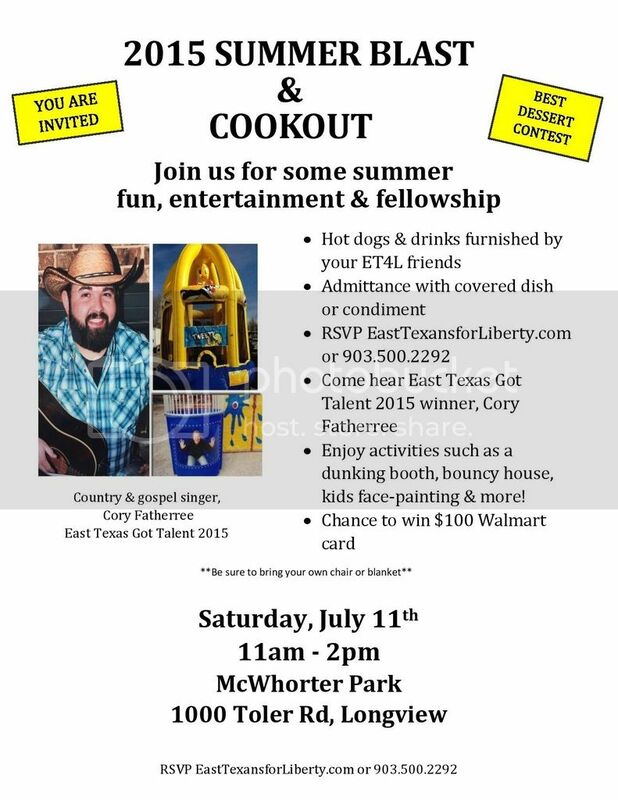 Contact us at info@easttexansforliberty.com or 903.500.2292.